Elected members today face increasing challenges. Under the modernisation agenda, there are heightened expectations on them to undertake a diversity of roles ranging from that of community leader to their special responsibilities within the Council. Throughout Wales, authorities are striving to provide the best possible support for their members to enable them to meet these challenges. This takes the form of skill and knowledge development, support facilities, and support services. The Welsh Local Government Association has a long history of working with authorities to help them develop these activities. To provide structure to the national programme of support, the Wales Charter for Member Support and Development was developed collaboratively by the Association, members representing each of the political groups and member support officers from each authority. The Charter aims to provide a broad framework for local planning, self-assessment, action and review together with networking and comparison amongst authorities and the sharing of good and innovative practice. Its wide adoption has raised the overall amount and standard of support given to members in Wales. The Charter and Advanced Charter have been awarded to the following authorities. The Local Government (Wales) Measure 2011 has introduced legislative requirements for corporate governance and member support and development. Therefore in 2012 the Charter criteria were developed to enhance and enable these legal requirements. Authorities can apply for the Charter followed by the Advanced Charter. These awards will need to be renewed every three years. Assessment for the Charter will be a self assessment undertaken by the Authority and submitted to the WLGA who will review the submission and make the award. The Charter is designed to establish that an essential range of support and development arrangements for councillors is in place. Assessment for the Advanced Charter will be a peer assessment including a site visit undertaken by officers, and member peers from Wales and England. The Advanced Charter is designed to recognise that the arrangements required for the Charter are working effectively. Reassessments at both Charter and Advanced Charter level will be assessed through self assessment and review. This award seeks to recognise and share excellent or innovative practice in member support and development to improve practice in Wales. Assessment of the Good Practice and Innovation Award will be based on a review of the written submission to a WLGA peer panel. On receipt of the award, the authority will be invited to make a presentation to the Member Support and Development and Lead Members Network. 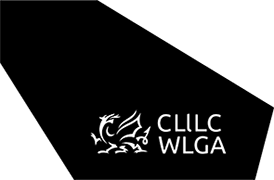 The submission will also be included on the WLGA website and publicised on the Good Practice Wales website.